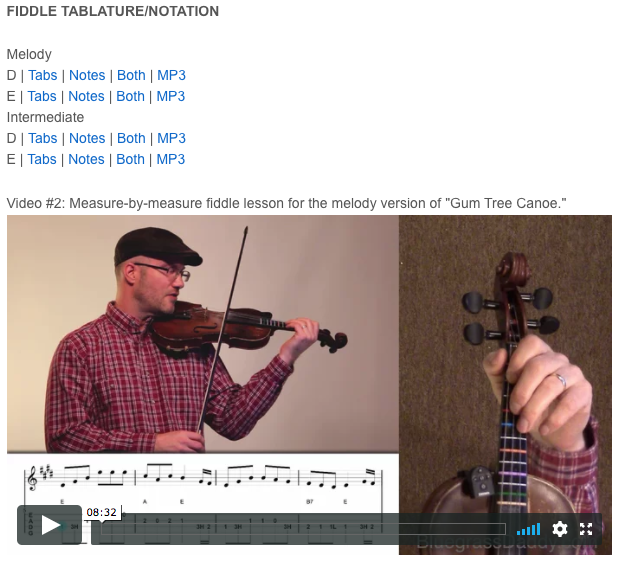 This is an online fiddle lesson for the old time tune "Gum Tree Canoe" by S. S. Steele. 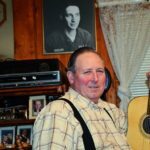 topamax without prescription http://we-rethink.org/wp-json/oembed/1.0//"https:////we-rethink.org//story///" BluegrassDaddy.com is your best source for Bluegrass, Old Time, Celtic, Gospel, and Country fiddle lessons! 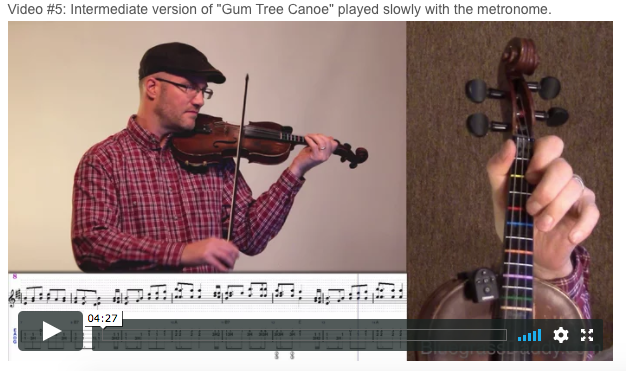 Video #1: Here is a video of me playing and singing "Gum Tree Canoe." And I rowed her about in our gum-tree canoe. And at night sail her round in our gum-tree canoe. And dance in her eye in our gum-tree canoe. And it took us in tow with our gum-tree canoe. 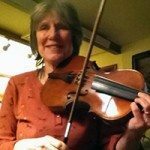 Posted in Beginner, Intermediate, OldTime	Tagged with: "Gum Tree Canoe" "John Hartford" "online fiddle lesson" "old time fiddle lesson" "bluegrass fiddle lesson" "BluegrassDaddy" "John Cockman"
This topic contains 5 replies, has 4 voices, and was last updated by John Cockman 1 year ago. 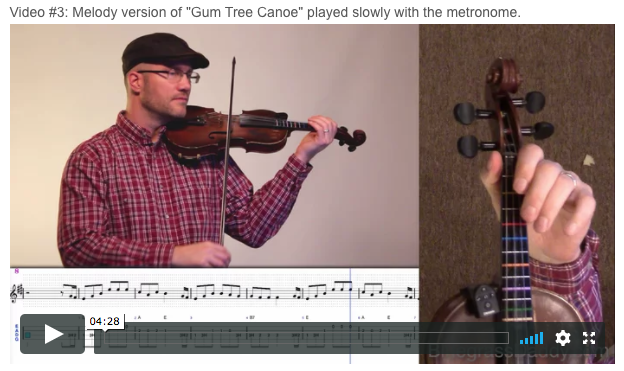 This is an online fiddle lesson for the old time tune “Gum Tree Canoe” by S. S Steele. This lesson was a special request by BGD member Rteaff. Thanks so much! Haha when I was recording this one, it seemed to go on forever. Jennifer asked if it was like the “Wreck of the Edmond Fitzgerald,” except on a canoe. Come to think of it, I think it has a similar sound as the WOTEFitzgerald…lol…fortunately a better ending, I guess. Very cool, John…that’s how I heard John Hartford do it, except I believe he was playing banjo. 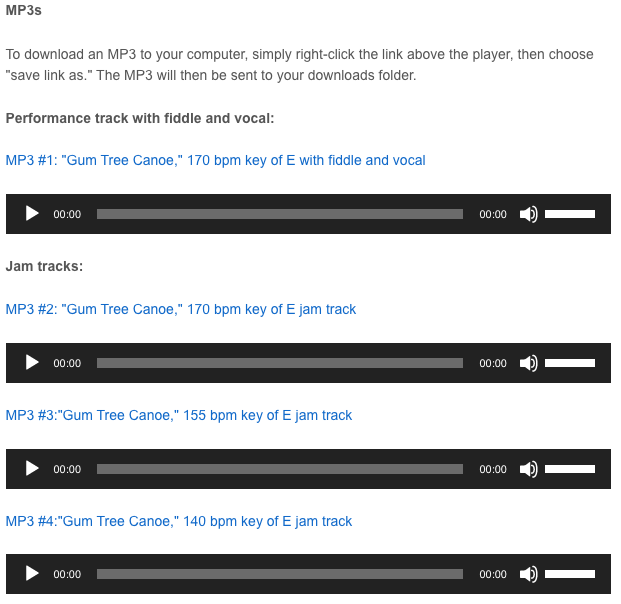 It’s really a nice version for getting some good fiddling in there. Another one for my evergrowing list, that poor ol lonely list I never have time for anymore. Hopefully one of these days. I’m thinking the huge sing8ng range required could pose some challenges…would be great to do with a band…one person sing the verse and another sing the chorus part. Anyway, great lesson…another great lesson! Hoping I get some time soon so I can try going through this! Great lesson thanks Rteaff and thanks John I look forward to learning this one ! Oh my gosh, I love this tune and your singing John! I have been away for a while but I do like to check in once in a while. Keep up the good work! Hello everyone on bluegrassdaddy. I hope you are all doing well. Hi Ann, it is great to hear from you! Hope to hear you playing this tune some day. I hope you are doing well.